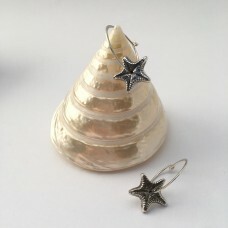 This is a lovely and simple pair of earrings. These starfish are cast in fine silver and layered with a dark patina, which when polished back exposes the starfish's intricate detail. 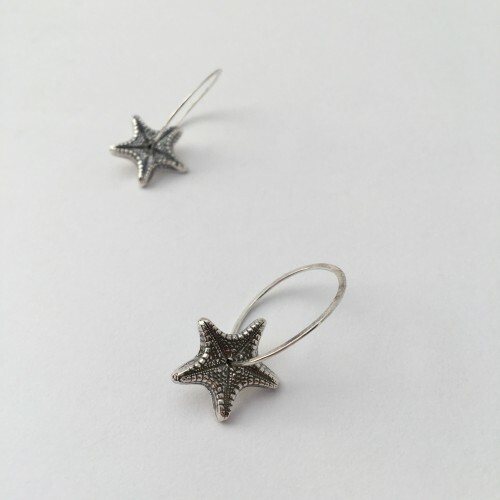 The starfish measure 1.6cm at their widest point and sit on a hoop with 2cm radius. Hoops are hammered flat towards the bottom.